That much progress in 20 years; from beating the grand master with pre-programmed moves to it teaching itself in four hours moves no human had ever conceived of in over a millennia of playing chess. If you don't think we humans have something to worry about I think respectfully you are being willfully naïve. What's next, military strategy? A computer like that in charge of our defense arsenal? Wasn't there a movie like that; "the Terminator" or something? And you have the right of it. Is no one aware of that incident in which they put a learning algorithm on line to combat people in first person shooter games? It was eating them alive. This wasn't the example to which I referred, but it's a good enough example to illustrate the point. They reign supreme in Virtual Reality, and we are quickly making the components necessary to apply these Artificial Intelligences to actual reality. Diogenes wrote: They reign supreme in Virtual Reality, and we are quickly making the components necessary to apply these Artificial Intelligences to actual reality. 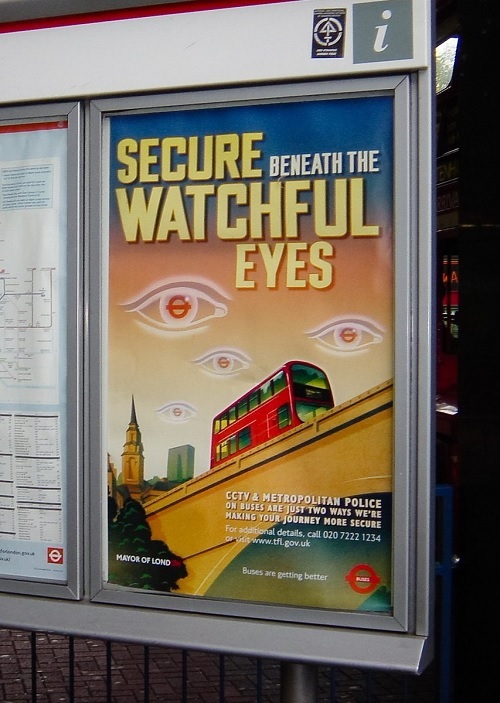 Or an Orwellian if less apocalyptic scenario; imagine and AI that you feed it the relevant data about a crime the suspects/alleged perps physical evidence witness interviews data from surveillance cameras etc. and it is able in minutes to correctly with much higher (& steadily improving) accuracy pinpoint the guilty parties. All without trials, rights hearings, lawyers, or eventually even appeals. To say nothing of it being able to predict ahead of time who is going to commit said crime(s) and who isn't. If they can diagnose mental illness more reliably than humans catching malefactors (or some sort of AI parole board with insanely high accuracy) can't be that much more difficult. At the same time, Deep Patient is a bit puzzling. It appears to anticipate the onset of psychiatric disorders like schizophrenia surprisingly well. But since schizophrenia is notoriously difficult for physicians to predict, Dudley wondered how this was possible. He still doesn’t know. Diogenes wrote: Or an Orwellian if less apocalyptic scenario; imagine and AI that you feed it the relevant data about a crime the suspects/alleged perps physical evidence witness interviews data from surveillance cameras etc. and it is able in minutes to correctly with much higher (& steadily improving) accuracy pinpoint the guilty parties. All without trials, rights hearings, lawyers, or eventually even appeals. To say nothing of it being able to predict ahead of time who is going to commit said crime(s) and who isn't. If they can diagnose mental illness more reliably than humans catching malefactors (or some sort of AI parole board with insanely high accuracy) can't be that much more difficult. there was a movie about that call minority report. hanelyp wrote: Chess has finite and well defined rules. A computer outdoing the grand masters was inevitable. When computers can outperform humans on not so well defined tasks it may be time to worry. Outperform will be too late to worry. By the time AI improvise whatever weird but effective AI heuristics that is close enough to effective, there'll be enough traction that it'll just be a matter of time before it improves as quickly as AlphaZero did. Just because humans can't squeeze a precise definition of their problem solving methods from their nebulous psyche doesn't mean that computers can't crunch out a variety of good enough solutions for the real world. AI hashing out human psychology will be interesting. Not merely physical diagnosis but actually mapping out how the mind works. "As evening fell, the Russia air defence forces detected 13 unidentified small-size air targets at a significant distance approaching the Russian military bases," the Ministry said in a statement. "Ten assault drones were approaching the Khmeimim air base, and another three – the CSS point in Tartus." Six of the assault force drones were intercepted by Russian electronic warfare units, with three of the UAVs being brought to land outside the base, while the remaining three exploded on contact with the ground. It's unknown who launched the swarm, with the attack being unclaimed at present. But the Russians have hinted that the technology used was too advanced for local militants, seen as a suggestion it could have been supplied by US forces in the vicinity – something the Pentagon says is "absolutely false". If that's one of the "drones", whoever did it probably bought the high tech parts online. Out of this entire bunch, DJI Spark is the only drone whose FHD-ready camera runs on a hardware stabilization system. Yup, it is true – this little fella sports a fully fledged gimbal. Not a 3-axis one though – DJI Spark’s gimbal is just 2-axis, but it’s still more than enough to give you full control over the scenery. An extra dose of smoothness and anti-vibration in your aerial videos will give you a world of good too, but that’s to expect from a premium facial recognition drone such as this one. Also, it is safe to say DJI Spark promotes the biggest feature list out of all drones showcased here. There is fluent GPS coverage as well as a huge array of autonomous flight options that will make aerial photography a simple task. Gesture controls are here too, as well as PalmLaunch and PalmControl which make a solid handsfree controlling mechanism. All in all, if you are looking for a feature-packed drone with facial recognition, look no further because DJI Spark can provide! Last but not least (not by a long shot, if we are being honest here) – DJI Spark specifications are on the table. Starting off with operating range, DJI Spark doesn’t feature OcuSync which means its standard range isn’t anything special. Barely above average in contrast to all 3 drones above. However, DJI Spark Fly More Combo fixes that thanks to the provided controller which boosts the range up to 2 kilometers. Now that’s quite the distance for this little birdie, right?! Airtime goes a lot above the average 10 minutes. More precisely, DJI Spark can endure approximately 15 minutes in the air without breaking a sweat. In most cases, facial recognition systems use data gathered from the camera and analyze it through comprehensive algorithms to decide whether or not there’s a face in the frame. So technically, they don’t work on the same principle as, for example, Apple’s new tech. Apple’s facial recognition efforts are focused on security while drones are only interested in improving their autonomous flight ability. 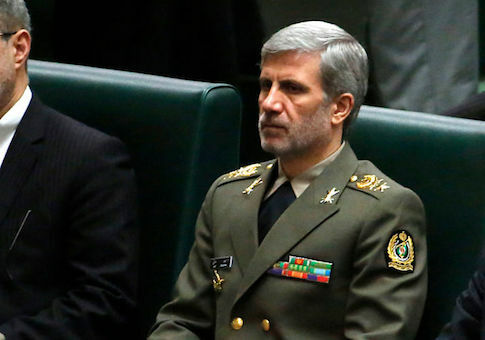 The new drones, dubbed the Mohajer 6, are "equipped with the smart Qa'em precision-striking bombs and different electro-optical explorers and different warheads, [and] can trace, intercept and destroy the target," Iranian Defense Minister and Brigadier General Amir Hatami said on Monday during a speech celebrating the new weaponry. Perhaps more significant, nonstate actors are rapidly adding UAVs to their arsenals and developing sophisticated tactics for their employment. ISIS pioneered the use of small, commercially available drones to bomb Iraqi forces. For the first time, nonstate adversaries will have air power. Equipped with cameras, drones provide terrorists and insurgents with critical, real-time ISR information. Loaded with just a few pounds of explosives, drones become precision-guided weapons. Deployed on ships, drones would provide our adversaries with a low-cost “aircraft carrier.” They could even be employed for targeted assassinations. In 2013, a Pirate Party activist dropped a 20-inch drone at the feet of German Chancellor Angela Merkel as she attended a political rally. Artist's depiction of the intercalated multilayer-graphene inductor (center blue spiral) which relies on kinetic inductance. Background images show its predecessors which rely on magnetic inductance, a vastly inferior and less efficient concept for microelectronics. In the race for ever-improving technology, there are two related technical capabilities that drive our world forward: speed and size. These are related, as the smaller a device is, the less distance the electrical signal driving your device has to travel. As we've been able to cut silicon thinner, print circuit elements smaller, and develop increasingly miniaturized transistors, gains in computing speed-and-power and decreases in device size have gone hand-in-hand. But at the same time these advances have comes in leaps and bounds, one fundamental circuit element — the inductor — has had its design remain exactly the same. Found in everything from televisions to laptops to smartphones to wireless chargers, radios, and transformers, it's one of the most indispensable electronic components in existence. Since their 1831 invention by Michael Faraday, their design has remained basically unchanged. 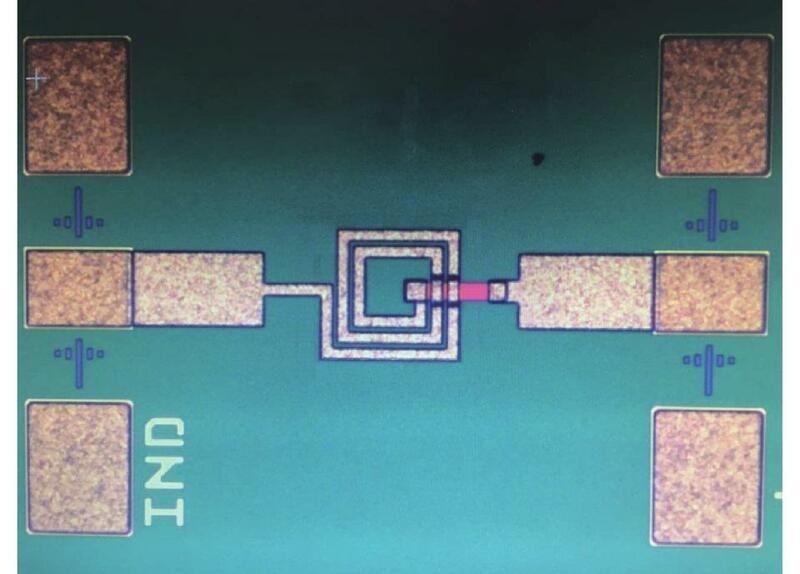 Until last month, that is, when a UC Santa Barbara team led by Kaustav Banerjee demonstrated a fundamentally new type of inductor. Without the limitations of the original inductor design, it should allow a new breakthrough in miniaturization and speed, potentially paving the way for a more connected world. One of the earliest applications of Faraday's law of induction was to note that a coil of wire, which would create a magnetic field inside, could magnetize a material, causing a change in its internal magnetic field. This changing field would then induce a current in the coil on the other side of the magnet, causing the needle (at right) to deflect. Modern inductors still rely on this same principle. The classic way inductors work is one of the simplest designs possible: a simple coil of wire. When you pass a current through a loop or coil of wire, it creates a magnetic field through the center. But according to Faraday's law of induction, that changing magnetic field then induces a current in the next loop, a current which opposes the one you're trying to create. If you create a greater coil density, or (even better) put a core of magnetizable material inside the inductor, you can greatly increase the inductance of your device. This results in inductors which are very effective, but also which are required to be physically quite large. Despite all the advances we've made, the fundamental limitation of this design style means there's been a limit to how small an inductor can get. Even with all the revolutions the 19th, 20th and 21st centuries have brought along in electronics, the conventional magnetic inductor, in concept, remains virtually unchanged from Faraday's original designs. The applications, however, are tremendous. Along with capacitors and resistors, inductors are one of the three passive elements that are the foundations of all electronics. Create an electric current of the right magnitude and frequency, and you'll build an induction motor. Pass the magnetic core in-and-out through the coil, and you'll generate electricity from a mechanical motion. Send both AC and DC currents down your circuit, and the inductor will block AC while allowing DC to pass through. They can separate signals of different frequencies, and when you use a capacitor along with an inductor, you can make a tuned circuit, of paramount importance in television and radio receivers. 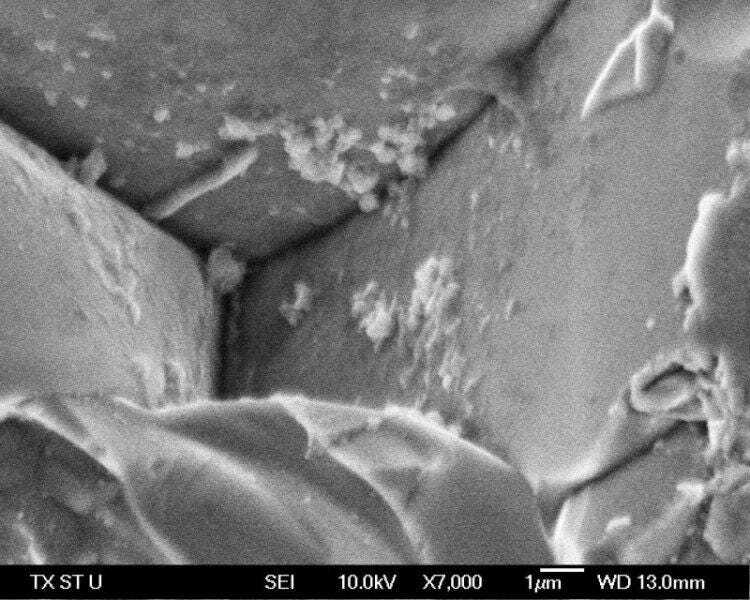 The photograph shows the large grains of a practical energy-storage material, calcium-copper-titanate (CCTO), which is one of the world's most efficient and practical 'supercapacitors.' The density of the CCTO ceramic is 94 percent of the maximum theoretical density. Capacitors and resistors have been thoroughly miniaturized, but inductors lag behind. But while resistors have been miniaturized with, for example, the development of the surface mount resistor, and capacitors have given way to supercapacitor materials that approach the theoretical limit, the basic design of inductors has remained the same throughout the centuries. Despite being invented way back in 1831, nothing about their basic design has changed in nearly 200 years. They function on the principle of magnetic inductance, where a current, a coil of wire, and a core of magnetizable material are used in tandem. But there is another approach, in theory, that inductors can take. There's also a phenomenon known as kinetic inductance, where instead of a changing magnetic field inducing an opposing current as in magnetic inductance, it's the inertia of the particles that carry the electric current themselves — such as electrons — that oppose a change in their motion. As current flows uniformly through a conductor, it obeys Newton's law of an object (the individual charges) remaining in uniform motion unless acted upon by an outside force. But even if they are acted on by an outside force, their inertia resists that change: the concept behind kinetic inductance. If you envision an electric current as a series of charge carriers (like electrons) all moving steadily, in a row, and at a constant speed, you can imagine what it would take to change that current: an additional force of some type. Each of those particles would need a force to act on them, causing them to accelerate or decelerate. The same principle that creates Newton's most famous law of motion, F = ma, tells us that if we want to change the motions of these charged particles, we need to exert a force on them. In this equation, it's their masses, or the m in the equation, that resists that change in motion. That's where kinetic inductance comes from. Functionally, it's indistinguishable from magnetic inductance, it's just that kinetic inductance has only ever been practically large under extreme conditions: either in superconductors or in extremely high-frequency circuits. An on-chip metal inductor, center, still relies on the Faraday-inspired concept of magnetic inductance. There are limits to its efficiency and how well it can be miniaturized, and in the smallest electronics, these inductors can take up a full 50% of the total surface area available for electronic components. In conventional metallic conductors, kinetic inductance is negligible, and so it's never been applied in conventional circuits before. But if it could be applied, it would be a revolutionary advance for miniaturization, since unlike magnetic inductance, its value doesn't depend on the inductor's surface area. With that fundamental limitation removed, it could be possible to create a kinetic inductor that's far smaller than any magnetic inductor we've ever made. And if we can engineer that advance, perhaps we can take the next great leap forward in miniaturization. On-chip metal inductors revolutionized radio frequency electronics two decades ago, but there are inherent limitations to their scalability. With the breakthroughs inherent to replacing magnetic inductance with kinetic inductance, it may be possible to engineer another, greater revolution still. Image credit: Shutterstock. That's where the work of Banerjee's Nanoelectronics Research Lab and their collaborators comes in. By exploiting the phenomenon of kinetic inductance, they were able to, for the first time, demonstrate the effectiveness a fundamentally different kind of inductor that didn't rely on Faraday's magnetic inductance. Instead of using conventional metal inductors, they used graphene — carbon bonded together into an ultra-hard, highly-conductive configuration that also has a large kinetic inductance — to make the highest inductance-density material ever created. In a paper last month published in Nature Electronics, the group demonstrated that if you inserted bromine atoms between various layers of graphene, in a process known as intercalation, you could finally create a material where the kinetic inductance exceeded the theoretical limit of a traditional Faraday inductor. The novel graphene design for the kinetic inductor (right) has finally surpassed traditional inductors in terms of inductance density, as the central panel (in blue and red, respectively) demonstrates. We essentially engineered a new nanomaterial to bring forward the previously ‘hidden physics’ of kinetic inductance at room temperature and in a range of operating frequencies targeted for next-generation wireless communications. 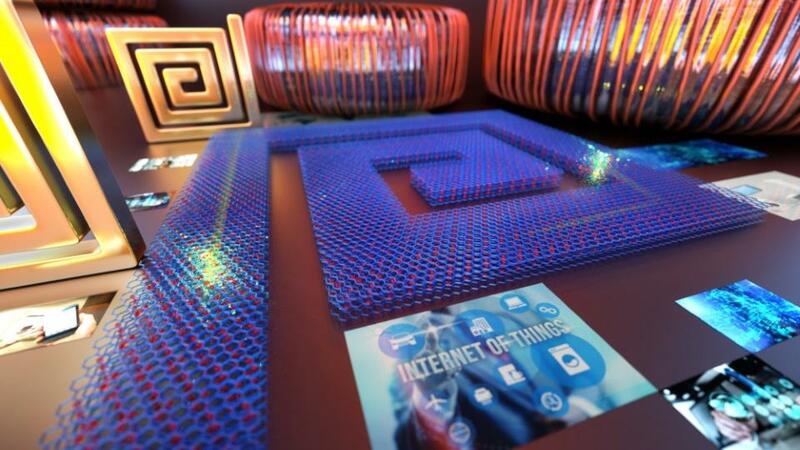 technologies could be smaller, lighter, and faster than ever. And thanks to this great leap in nanomaterials, we might finally be able to go beyond the technology that Faraday brought to our world nearly 200 years ago. 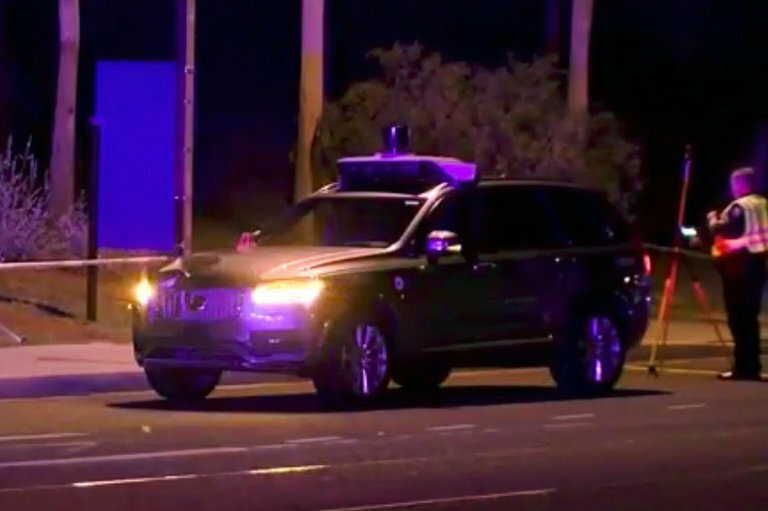 Skynet claims it's first victim. If you're requiring the driver (or bot) to make a spot check to not hit you when you're crossing the street, you're doing it wrong. ... Though this incident does illustrate a bug in the system that it didn't avoid the obstruction in the car's path. China is rife with face-scanning technology worthy of Black Mirror. Don’t even think about jaywalking in Jinan, the capital of Shandong province. Last year, traffic-management authorities there started using facial recognition to crack down. When a camera mounted above one of 50 of the city’s busiest intersections detects a jaywalker, it snaps several photos and records a video of the violation. The photos appear on an overhead screen so the offender can see that he or she has been busted, then are cross-checked with the images in a regional police database. Within 20 minutes, snippets of the perp’s ID number and home address are displayed on the crosswalk screen. And of course, England is still losing it's F***ing mind. 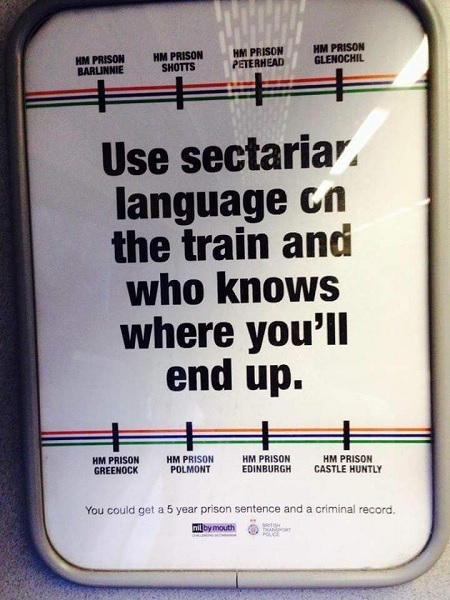 Only "good think" is permitted in Orwellian England.